About a month ago I watched a program in the OUTspoken Biography series called Take Up The Torch. This inspiring and informative documentary offered a look at Canadian LGBT athletes both past and present and offered a platform for them to share their stories and concerns. I was deeply affected by each of the athletes who stepped into the spotlight to share. It could not have been an easy decision to become so visible in a sports climate that still has a long way to go in accepting diversity. And let's face it, it's sad that the need is still there for them to stand up and be heard. Performance, not personal life, should be the focus. One athlete who I was especially drawn to was Mark Tewksbury. It was obvious he brought deep knowledge, well-thought out ideas and personal insight. As someone who competed many years ago when staying in the closet was the key to success and endorsements, he brought history, honesty and clarity to what has to be an emotional subject for many. After the show I decided to check out his memoir - Inside Out. While it is out of print, I thankfully was able to snag a used copy for a reasonable price. I couldn't put it down and consumed it from cover to cover in just over two days. Definitely review worthy! Moving, humorous, motivational, sometimes painful, but always direct, Inside Out reminds us that living with integrity is not always straightforward, but is certainly worth an honest pursuit. More than one man's compelling story, Inside Out is an inspiration for anyone facing a personal conflict, revealing that the most insurmountable challenges can be transformed in the ultimate triumph of a full life worth living. For those who do not know, Canadian Mark Tewksbury is a highly decorated competitive swimmer. You can read just a few of his achievements in his bio below. He also is a highly sought after public speaker. One thing he shared in his book was something Dale Carnegie said, always speaks as if those in your audience were fourth graders. I agree. Keep it simple, keep it clear, keep it from the heart. He managed to do just that with this book as well. I couldn't put it down and consumed it from cover to cover. This is more than the story of how he began to live a fully open life. This is a story of how the sports world functions, especially the Olympics. But the problems in the sports industry extend far beyond this one organization, it's just the most well recognized example. It also is made clear that there can be a tremendous personal cost when living in the public eye. Media are always looking for the next story to splash - something negative and shocking preferred - to increase sales. Media can also be used for smear campaigns when someone stands up to criticize the status quo in an established industry. As I read, there was no doubt in my mind about how difficult his journey was from a young age. Living a double life, feelings of disappointing those around you and carrying secrets all take their toll. The fact you have to hide creates the feeling that something is wrong with you. The inability to talk honestly about it adds to this burden. When he finally came fully out, the question was always WHY. Tewksbury shares about his journey not to gain sympathy, but to allow others to understand the cost of living a double life. Somehow the author found the perfect balance in the story line between personal, public and his work to improve the sports industry. I had to buy this as a used copy. Very sad. This is a book I feel should be made widely available in high school and public libraries. There is not only support for those of diversity struggling with acceptance, but great information for athletes in general. Kudos Mark Tewksbury. You're now on my list of dying to interview. Perhaps it's time to consider a second edition. 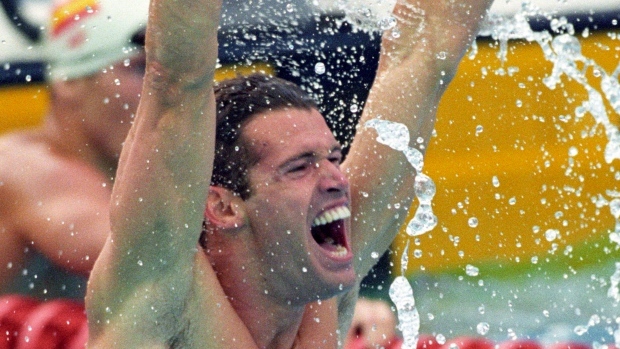 Mark Tewksbury is best known as a gold-medal-winning Olympic swimmer. His remarkable sixteen-year athletic career included three Olympic medals, numerous world records, and inductions into three major halls of fame: the Canadian Olympic Hall of Fame, the Canadian Sports Hall of Fame, and the International Swimming Hall of Fame. Although retired as an athlete, Tewksbury remains a highly respected public figure. 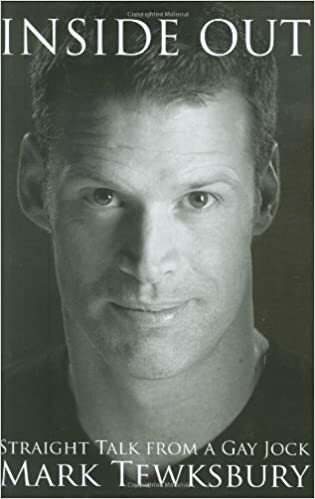 He delivered prized swimming analysis for the CBC from the 2004 Athens Olympic Games, hosts the Discovery Channel's popular How It's Made show, and is Co-President of the first World Outgames, Montreal 2006. Tewksbury has spoken to millions as part of his eighteen-year speaking career and remains much in demand as an inspirational speaker to companies and organizations around the world. For his active humanitarianism, he was awarded an honorary doctorate from the University of Western Ontario in 2001, and in 2005 Tewksbury was awarded the International Person of the Year Award at S?o Paulo Pride in Brazil. He currently lives in Montreal, Quebec, Canada.